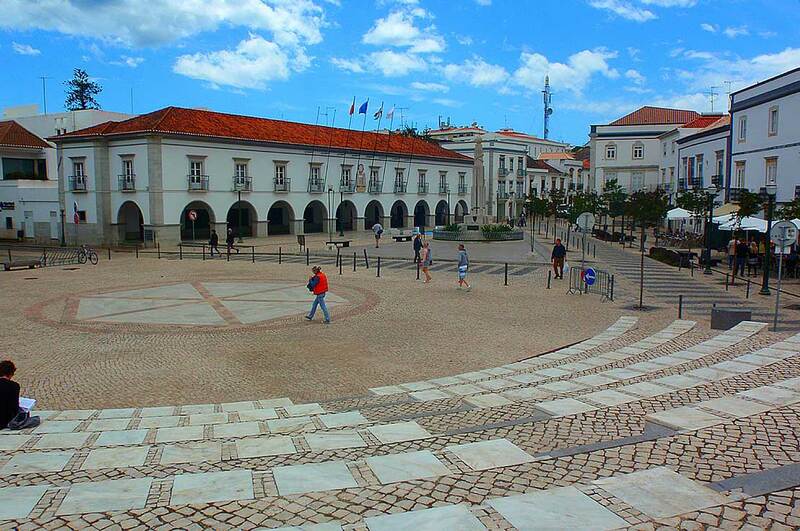 Tavira, in Portugal, the self-proclaimed proverb capital of the world where scholars and enthusiasts meet each year. (Wikimedia Commons). Ah, the proverbial academic conference – for Classical Studies lecturer Associate Professor Gina Salapata a recent trip to a conference in Portugal was literally all about proverbs. 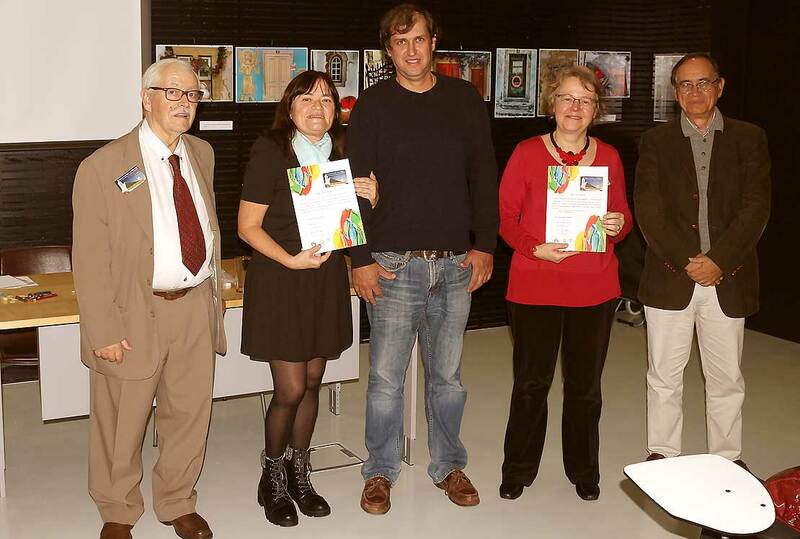 It was through sharing her own knowledge and enthusiasm for proverbs of the world with Manawatū Standard readers three years ago that led to her being invited to participate this month in the 12th Interdisciplinary Colloquium on Proverbs in Tavira, Portugal. It is the self-proclaimed World Capital of Proverbs – the annual meeting point of specialists from all over the world. Dr Salapata, based in the School of Humanities, has long been fascinated by proverbs. She launched a project to involve the rich and diverse multicultural community of Palmerston North in the collection of proverbs from different cultures to celebrate the city’s diverse population and highlighted the common threads among cultures. Three years later, the president of the International Association of Paremiology (a Greek term meaning the study of proverbs), an association supported by UNESCO, tracked her down through the online publicity of her community project and invited her to participate in this year’s ‘proverbial’ gathering in Portugal, from November 4 to 11. “The colloquium, promoting intercultural and intergenerational dialogue, was attended by 100 delegates (the largest number ever) from 28 countries, and it was the first time New Zealand was represented, a fact greatly appreciated by the organisers,” says Dr Salapata. Associate Professor Gina Salapata (second from right) with participants at the 12th Colloquium on Proverbs. Some proverbs shared at the colloquium. For her presentation she organised two activities based on proverbs collected in Palmerston North, designed to engage the conference participants in comparative and creative work on proverbs from around the world. 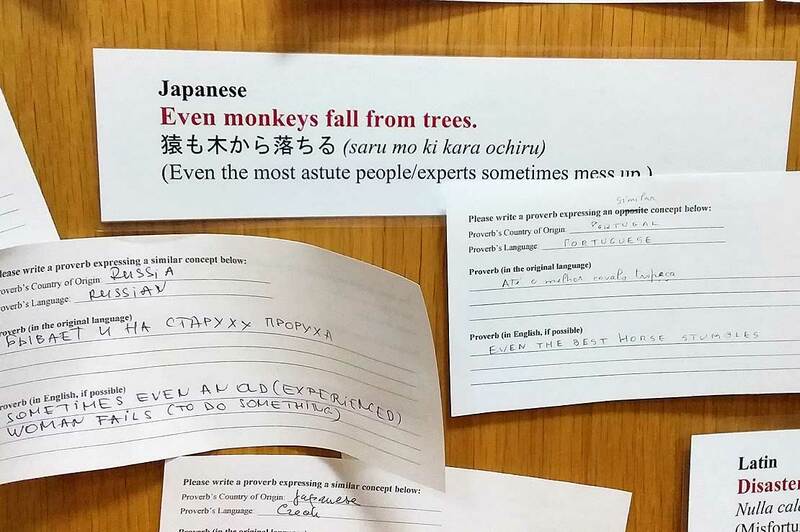 In the second activity, Celebrating Cultures Through Proverbs: Sketch a Proverb, designed to stimulate creativity and make participants consider proverbs from different cultures from a visual perspective and, again, using the displayed proverbs from Palmerston North.